If you were to walk through the front doors of the Town Hall right now, this is what you will see. New staircase to Performing Arts Centre balcony has been installed. The bottom of the staircase will be a lounge area where audience members can wait in comfort before seeing a show. The Supper Room has been painted. The PAC kitchen has been gutted ready for new equipment. New roofing has been installed in both PAC changerooms. Work commences at the rear of the Town Hall. The rear of the building will be extended for a new Green Room. 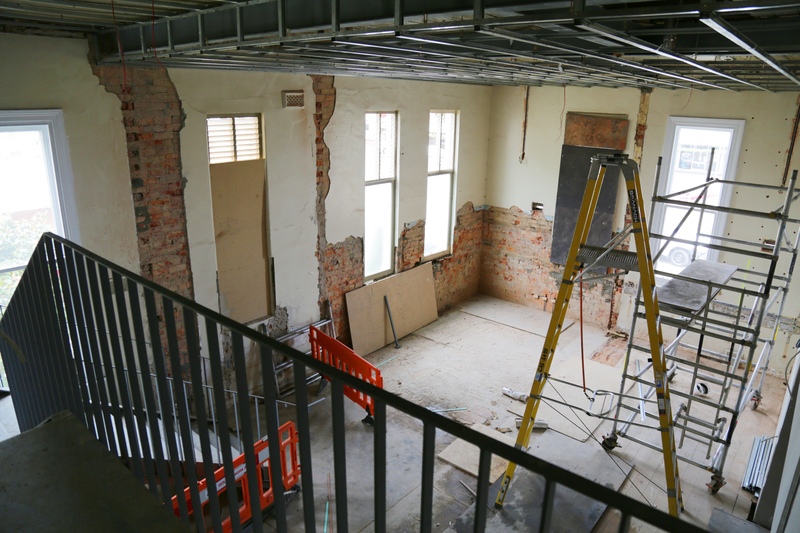 A lift will be installed in the coming weeks to allow access to the multi-levels. The courtyard will be refurbished. Brickwork is progressing on the new public toilets. What the new Art Gallery entrance will look like.